Peepo! Peek through the holes. Can you see all the things that Baby sees? Follow a baby through the day as it watches all the cosy rituals of family life. Mummy makes porridge. Grandma hangs out washing. His father brings in the coal. What will happen next? Peep through the holes for a clue! 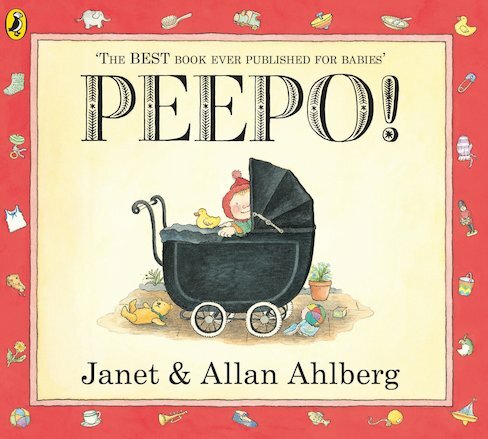 From the best-loved team of Janet and Allan Ahlberg, this peekaboo classic is a timeless heartwarmer.